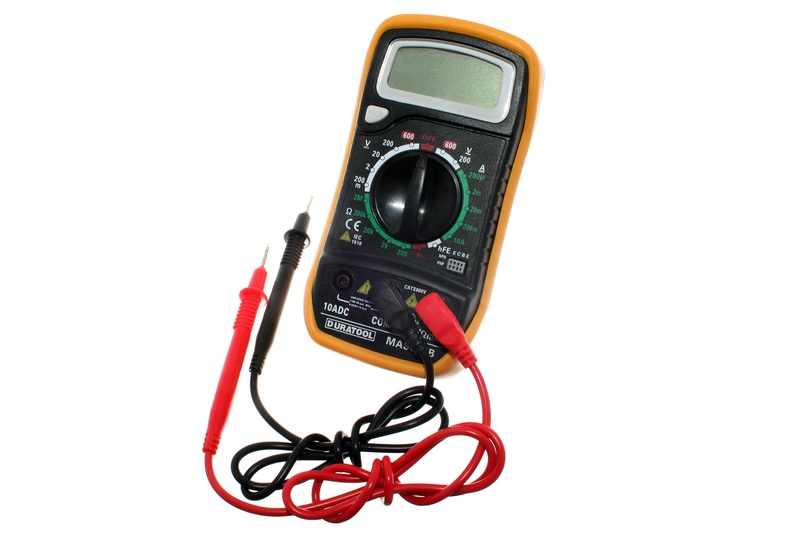 A multimeter, also known as a multitester or VOM (volt-ohm-milliammeter), is a very useful item. Multimeters aren’t something that everyone carries around but since we are living in RVs highly dependent on battery power and using devices which are highly dependent on battery power. A multimeter, also known as a multitester or VOM (volt-ohm-milliammeter), is a very useful item. I have several, mostly digital but I also have an analogue multimeter as well. In many ways, I prefer the analogue meter but particularly for accurate low voltage levels, mechanical hardiness and size, digital multimeters are the way to go. The great thing about the aptly named multimeters is that they can be used for any number of functions – checking voltages (AC or DC), checking circuit connections (ohm range) and to a lesser extent, checking low-level electrical currents. RV travellers, for the most part, are really just interested in voltage levels and maybe a circuit check. That’s really important if we are trying to trace out a voltage drop problem (like not being able to run a fridge properly or charge a battery fully) and/or a bad connection in a 12V system, where it’s often impossible to find something like that visually (like from damaged insulation or burned cable). 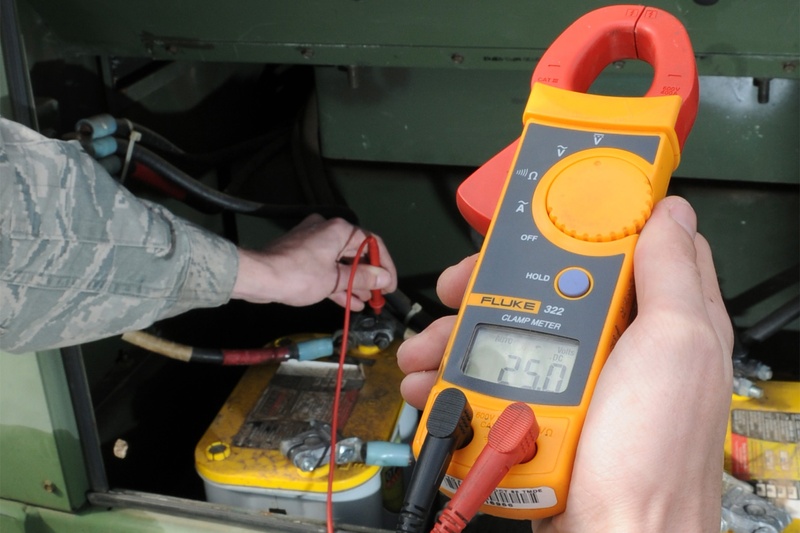 Using a multimeter does to some extent depend on the make and model but on most a function normally has to be selected, say voltage and whether it’s AC (mains supply) or DC (battery). For circuit checks, the ohm (normally written using the symbol Ω) scale should be selected. Some meters have a one size fits all scaling and others have multiple choice. On the voltage scales there could be a range of 2V, 20V, 240V or 1000V, so for 12V DC, the 20V DC range is the choice and for mains AC, obviously, 240V is the choice. On the ohm/resistance scale, there could be something like 20Ω, 200Ω, 2 KΩ, 20 KΩ or 2 MΩ. For circuit testing the lowest setting, that is 20Ω in this case, should be selected. When checking circuits or diodes, some multimeters handily have a buzzer which saves looking at the meter. Some times there is a choice of test lead sockets unless doing an electrical current check, then the choice is usually V/Ω and COM. Prices of multimeters vary considerably and those multimeters designed for the industry can be expensive. However, for hobby and occasional use, there do seem to be plenty around, at somewhere like Jaycar Electronics or on eBay for $40-$80. I’d avoid the $10 specials, it’s worth a few dollars to get something half decent. When travelling lightly, one of my favourites is a pocket-sized model I bought a few years ago which sits in my camera bag without a problem. It’s small enough to fit in my pocket and does measure quite accurately voltage and ohm range with a simple selector. A little caveat here. Whilst 12V DC is a safe voltage to test and work on, 240V mains supply is not and should be treated with caution at all times, especially when dealing with flexible power cords. If in doubt about anything then the services of a qualified person should be sought out. Something I have purchased in recent times is a non-contact voltage tester and look a bit like a torch with a plastic point. About the size of a very fat pen, they are designed to indicate if something like a caravan park switchboard is “live”, ie unsafe to touch. It’s not a big problem here in Australia or New Zealand, unlike the USA for instance but occasionally I have come across a rather rusty looking caravan park power pole and wondered. Electrical power cords are a more likely problem and more of a safety hazard, especially in wet conditions – hence the “Test and Tag” procedure for cable testing. A voltage detector doesn’t measure voltage as such, just indicates that there might be a problem. My Fluke VoltAlert came from Europe but they are readily available in Australia. Should I invest in a multimeter? Multimeters are quite relatively simple to use, aren’t heavy to carry and relatively inexpensive. 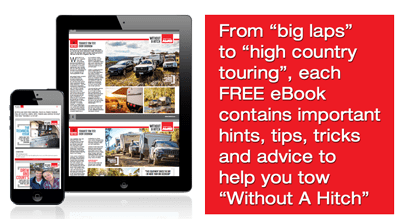 Anyone with half an interest in their RV electrics or device battery charges would find them a very useful diagnostic tool.